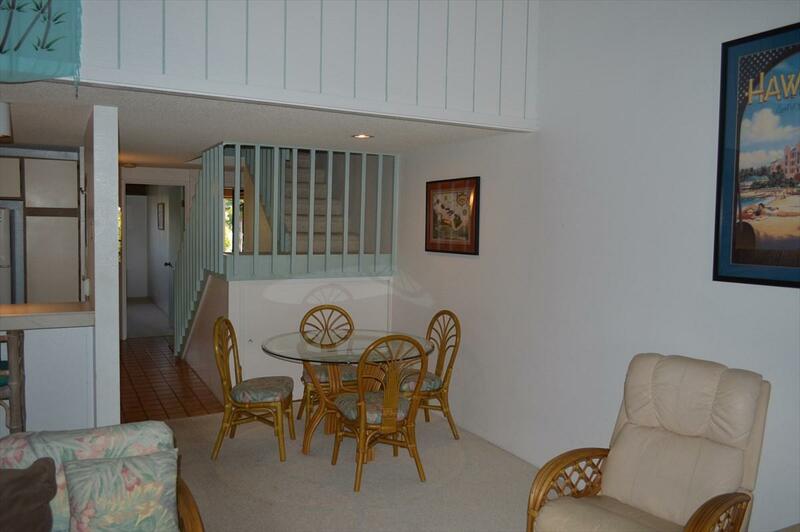 Two-bedroom, two-bathroom, two-story condo is located on the Robert Trent Jones Jr. golf course in Waikoloa Village on the Big Island. 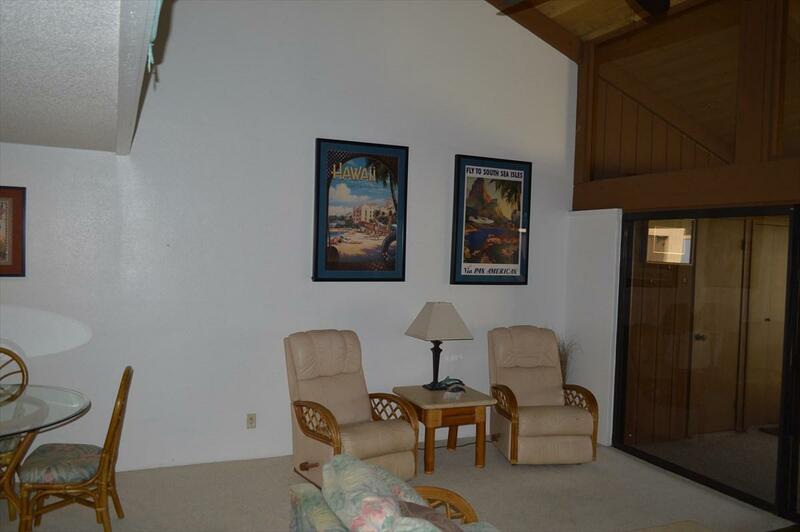 Your lanai overlooks the pool and has a partial ocean view. 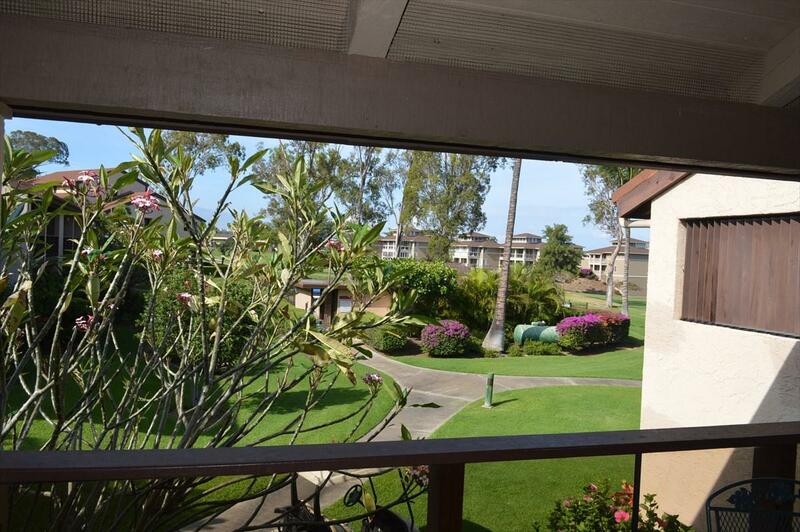 Waikoloa Villas is a private, quiet, individually-owned condominium complex. This is an upstairs unit. Upstairs the loft-style master bedroom has a walk-in closet. The upstairs also has a bathroom with shower and a separate vanity area with plenty of closet space. There is a second bedroom on the main floor. The bathroom has a combination shower/tub and separate vanity area with newer front load washer and dryer. The 18-foot high wood ceilings make it very spacious inside. Ceiling fans in the living room and bedrooms keep you cool and comfortable. The kitchen has newer appliances. The lanai has a nice wet bar. It's a great place to begin your day with a cup of Kona coffee, or relax at the end of day. 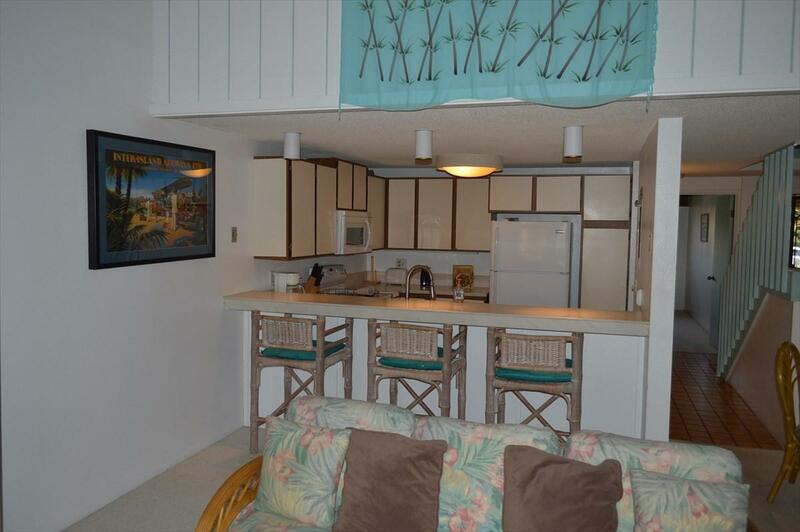 You can also use one of the two pool/cabana areas that are complete with heated pool, hot tub and gas barbecue grills.The Waikoloa Villas complex has 2 pool/Spa and grill areas.Currently has long term renter who would like to stay.